SitOnIt Seating designs and manufactures traditional, transitional and contemporary seating with a smart design process geared toward manufacturing efficiency. That means they can custom make your chair to your specifications at an affordable price. Other manufacturers often charge extra for features SitOnIt considers standard, including ballistic nylon backs, PVC arms, and Visco elastic memory foam. 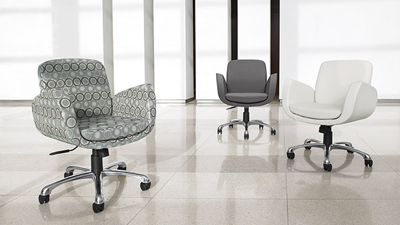 Global is proud to offer exceptional comfort and style while maintaining a value conscious approach to seating. Choose from MULTI-FUNCTION, TASK, MESH, MANAGERIAL and LEATHER (Luxhide*) seating to complete your office environment. All Global chairs are manufactured exclusively in certified factories and have been tested to ensure compliance with all applicable industry standards. You can sit more comfortably knowing you have selected a quality product from Global! It’s a business philosophy that serves as a catalyst for everything that they do. By putting all of their energy into providing a full package of categories with a few select models they can offer the industry innovative products at pricing few others can match. Adding to the value Harmony provides in its products, is the commitment from their staff to offer the best in terms of consistent service and support. 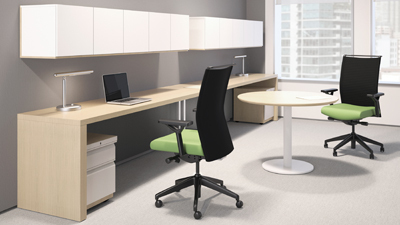 Harmony is your best choice for commercial grade office furnishings!